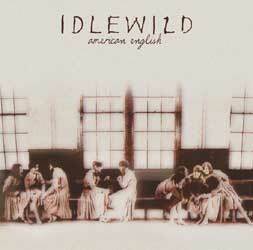 "American English" is Idlewild's most ambitious single to date and is just about as far removed from the wall of noise that was displayed on the bands debut mini-album "Captain". It's the second single from the bands forthcoming album "The Remote Part" and displays a change in attitude which has seen them writing individually on piano and acoustic before developing into the more familiar Idlewild sound we all know and love. Designer Magazine caught up with guitarist Rod Jones on the eve of their Glastonbury appearance to get the low-down on their reggae tracks, the Shetland gigs and of course to delve into The Remote Parts. Q: You're really pushing the idea of the album forward with the gigs a couple of weeks ago in the "Remote Parts" of the Shetland Isles. I guess in a sense you're playing to people who don't necessary get the cosmopolitan 24hr city lifestyle on tap. How did the gigs go? A: We really wanted to play there last year and it fell through because we went to America, but then Radio 1 got involved and it was really good fun. I think what are sort of band has that perhaps other bands don't is that although were a serious rock band, we can just go out there and entertain people if we want. I think we because we enjoy ourselves so much when we play live were able to play in places like that. People just didn't know what to expect...I think some of them were expecting a Kylie type band...but because we hung out and just enjoyed ourselves everyone got into it. The afternoon gig was kind of strange because it was a lot of young kids who didn't know what to expect, but the evening gig was just full of all types of people just enjoying themselves and getting drunk!!! Q: I'm trying to place where you're trying to take the live shows at the moment because even though you have written most of the new album on acoustic guitars the last time I saw you live (March 2002) you seemed to rock it up than usual. Where is it heading live wise? A: I think we have had to re-invent what we do live because this is the first time we've made a record which is stronger than the live set. I don't think this album is more quiet or more acoustic, and we certainly didn't shy away from that, but although we wrote a lot of the songs on acoustic guitar we recorded them as rock songs. It was more that we approached things in a different way rather than a conscious attempt to make a quieter record or a noisier record - it was just that we wrote a lot of songs and those 11 happened to be the best songs!!! Q: The recording of the album went through 3 main stages before you finally settled. First of all you went in with Stephen Street which I believe was a straight continuation of the last album, then you did some demo's with Lenny Kaye from the Patti Smith Group and then you finally settled for Dave Eringa. Would you like to walk us through this period? 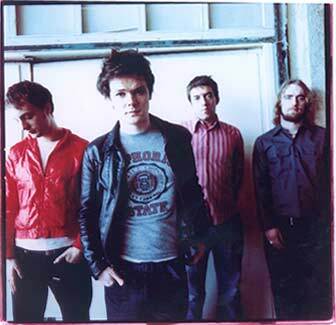 A: With Stephen Street they weren't really songs that were left over from "100 Broken Windows", they just weren't the best songs that we could have written and I don't think we were really ready. I was a big fan of a lot of the bands Stephen had worked with, but it just didn't work out with us. And then we tried some stuff with Lenny and although the songs didn't make it on the album...it completely changed our views of music. He's just a really interesting, cool guys who's just wired on music. I think that the way we write and structure music was completely changed by that experience. I think when we realized we had to make a coherent record we had to go in with someone like Dave Eringa and he doesn't really get his due sometimes, but he gave us a real confidence just for the fact that we know he can make good song sound good. At that point we'd obviously written the whole album and we had a collection of songs we were really happy with and I think from that point of view we just found it really easy. For us writing on an acoustic guitar was quite a revelation. Most of the bands around do that anyway, but we had such a way of working and we kind of realized that you don't have to write songs as a full band. It can be a case of just sitting down with an acoustic guitar or a piano and then developing it as a band that works best. Q: With Lenny Kaye I believe you went out there and did this reggae track. Idlewild Vs Reggae? A: We tried out a few things and one of the song was this long rambling narratives which Lenny suggested we try putting a reggae section on in the background. It was good and it will be B-side of one the next singles, but I think what were good at it writing well considered rock songs. 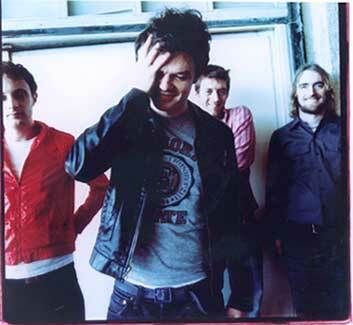 Q: The thing I've always noticed about Idlewild is that you've never fitted in with any specific scene. I think that's something which has been to your advantage over the years? A: Yeah, I think that's been a good thing and we tend to have an identity of our own because of that. I think its coming from Scotland where there isn't much of a scene and also that fact that we don't sound like anybody else around at the moment. Obviously bands and artists will be an influence on you and I'm ok with it if people say we sound like REM...if someone who likes REM makes the link and says well actually I quite like Idlewild as a result. I'm confident in our music enough to not really take notice if people say its like this band or that band. Q: Looking back to the "Captain" album and then back to the present day with "American English". It does seem like two totally different bands - would you agree? A: I don't see that so much. Even back on "Captain" there were songs like "Polaroid" that hinted at that. But it was actually noisier and more distorted and I just think we've written better songs with better melodies now and have become confident to push those things to the forefront. We've been awarded that liberty of being allowed to develop and now when we go to America people will see a band that are confident and that do play their songs well. Whereas in England people have seen us grow up and make mistakes and people like us for that as well - so we have the best of both worlds!!! I just think "American English" is less obvious, it's not the obvious pop choice for a single where everything comes in full whack at the beginning...it just sort of builds. I think its the most ambitious things we've done, its the best song we've ever recorded!! !